The support that the recent Therapeutic Goods Amendment Bill received from both policy-makers and from industry is a timely reminder that natural medicine is firmly ingrained in the healthcare landscape. It presents a significant opportunity for natural medicines that can only be realised by continuing to invest in research. The body of clinical evidence has continued to grow, helping us understand everything from efficacy to interactions. This journey of discovery will continue – my father used to remind me that the quest for better health is never-ending. One of the areas where we have a knowledge gap is to understand the reasons people use naturopathy and other complementary medicines, how they make decisions about the medicines and the therapies they use and how practitioners including naturopaths connect and communicate with mainstream hospital and primary care systems. The Australian Research Centre in Complementary and Integrative Medicine at the University of Technology Sydney (UTS: ARCCIM), led by Distinguished Professor of Public Health and Australian Research Council Professorial Future Fellow Jon Adams, is seeking to progress this important work. That’s why my wife, Caroline, and I are proud to partner with BioCeuticals to contribute $1.5 million to ARCCIM to support research into naturopathy and other complementary medicine. ARCCIM is a world-leading critical public health and health services research centre focusing on traditional, complementary and integrative health care that brings together experts in epidemiology and health economics. Its work has received substantial government research funding, including prestigious research fellowships from the National Health and Medical Research Council (NHMRC) and the Australian Research Council (ARC). Our contribution does not reflect either generosity or goodwill. It is because we have an unswerving and ongoing responsibility to our consumers and to the practitioners who treat them. This research will be Australia-focused and national in scale and independent, since the donation is untied and the centre will design and apply it as it sees fit. The momentum of evidence-based natural medicine must be more than marketing claims or lip service – it must be underpinned by a strong program of research. Australian natural healthcare is vibrant and growing, enjoying strong public and practitioner support and I passionately encourage our friends and colleagues across this industry to seek to fulfil their social obligation by investing back into the community who support us. UTS Vice-Chancellor and President Attila Brungs with BioCeuticals MD Eyal Wolstin, Marcus Blackmore, Caroline Blackmore and Terri Albert from The Jacka Foundation. My sincere gratitude to the New Hope Network for the honour of being inducted into the Hall of Legends at the natural health industry’s biggest convention, Natural Products Expo West. The Hall of Legends is for those who have devoted a significant portion of their lives to making the natural products industry what it is today. I’ve long taken to heart the negative sentiments of critics of complementary medicine – not understanding how anyone could be so narrow-minded as to exclude an entire approach to healthcare that has benefitted countless people for many generations. But I stopped caring about them last week. 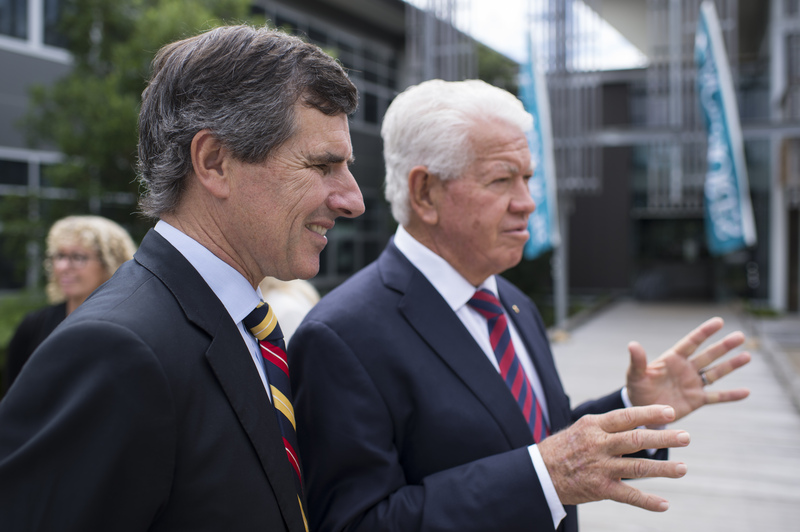 Both the University and Blackmores Institute professed the necessity for robust governance to ensure the independence of the research and education that would result from the financial contribution. Both the University and Blackmores Institute knew that there were growing numbers of Australians embracing complementary medicines and that this was an area that was underrepresented in medical professional education. According to the NHMRC Research Funding Datasets 2003- 2012, allocations for research funding into complementary medicine have been just 0.2% of total funding over the past ten years, despite use of complementary medicine by the Australian public remaining substantial. Of that, the research funded has, at times, been questionable. Such as a recent NHMRC-funded study claiming the potential harm of vitamin D based on giving rats and mice a dose of vitamin D that would be equivalent to a 60kg human taking 360,000IU of the nutrient daily. It was not unexpected that the critics professed their ‘concerns’ about the Integrative Medicine Chair, though it was certainly ironic. After years of demanding more research, they were unlikely to commend us for our actions. They were misguided though in stating that Maurice Blackmore was not worthy of the honour of the name of the Chair claiming he was not an advocate of ‘evidence-based medicine’ (a concept coined in the 1990s – nearly 15 years after he passed away!). Though the terms ‘evidence-based medicine’ and ‘integrative medicine’ were not used in his time, his life’s work is testament to these principles. His early observations of mineral therapy and his clinical applications of nutritional medicine were the foundation of an approach to health management that is still relevant today. He dedicated his life to sharing his knowledge and published an extensive collection of observations and clinical notes. They are an interesting read given we now have the benefit of nearly 40 years of scientific exploration: sometimes he got it right…sometimes he didn’t. But he had an enquiring mind and a desire to help people, which is the same motivation that led to this Sydney University gift. It was timely given the commentary of recent days. It’s time for the skeptics and the critics to step off the sideline and engage in furthering healthcare with a focus on prevention and wellbeing. I am proud of the legacy of my father as a pioneer of healthcare, that the Blackmores Group had the courage to contribute to independent research and education, and to play an active role in furthering the health capabilities of our healthcare professionals to the benefit of all Australians. My sincere thanks to the Asia Pacific Brands Foundation for recognising Blackmores with the Brand Leadership Award 2014/2015, the Best Brand in Wellness – Natural Health Solutions, and for naming me Nutraceuticals Man of the Year. 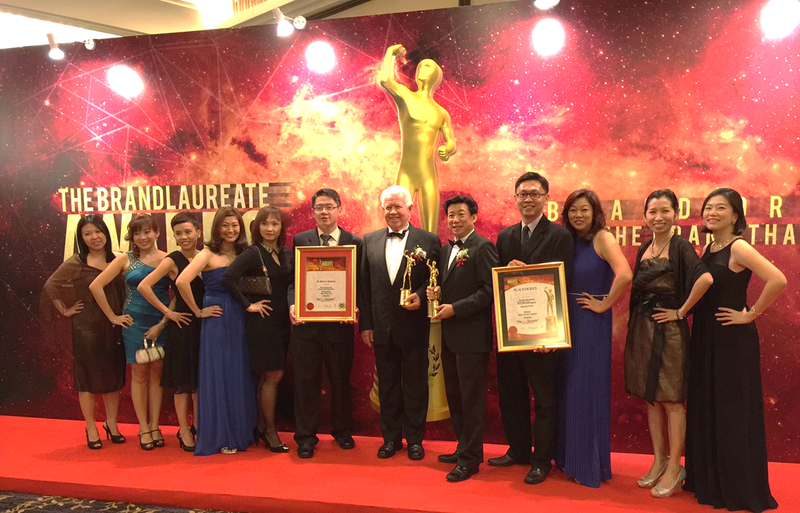 I was humbled and so very proud of our wonderful team in Malaysia. The Brand Laureate is given to brands that have demonstrated strong leadership and performance. Eminent neurologist Dr Raymond Schwartz said it well over dinner one night, “Evidence of itself doesn’t always mean that a remedy works, and conversely, lack of evidence doesn’t necessarily mean that a remedy doesn’t work.” He went on to explain that at present, the evidence behind the use of stem cells lacks evidence but that is likely to change over time. The critics of homeopathy and complementary medicine have taken an interim report released by the National Health and Medical Research Council (NHMRC) today on the use of homeopathic remedies and raised questions about pharmacies stocking these products. In my own experience as a Naturopath, I have mixed views on the use of homeopathic treatments. I can say that on a recent trip to Italy I was presented with a homeopathic remedy from a homeopathic pharmacy with good results. However, I have serious concerns that the NHMRC review has not considered the necessary body of evidence to classify this longstanding traditional modality as ineffective and their interim ‘findings’ may have provided a platform for criticism from the skeptics of natural medicine to express their narrow views. As a ‘review of reviews’ was employed to gather information, the evaluation fails to include any randomised trials or studies that have not been captured by a review. Only papers published in the last five years were considered thereby excluding a lot of evidence. The review only included databases published in English which, considering many traditional modalities have their origin in Europe, excludes some of the most compelling data. The totality of evidence was not also assessed, for example laboratory or animal (vet) studies were excluded. So, is it fair to say the ‘review’ itself is ‘evidence-based’? Dr Lesley Braun, Director of Blackmores Institute, reminded me of the words of Sackett, widely considered the chief founding father of modern day evidence based medicine, “evidence based medicine is not “cookbook” medicine. Because it requires a bottom up approach that integrates the best external evidence with individual clinical expertise and patients’ choice, it cannot result in slavish, cookbook approaches to individual patient care. External evidence can inform, but never replace, individual clinical expertise…” (Sackett et al. 1996). No profession, modality or therapy can claim to be the most effective or safe, however it is the right of the 70% of Australian pharmacy customers taking OTC herbal or natural supplements to access the therapies in which they find benefit particularly when they are well-tolerated and cost-effective. Hopefully in time, we can overcome these limitations. However in the meantime we must be cautious about making conclusions based on pseudoscience. This abc.net.au opinion piece titled The War against Natural Medicine caught my attention over the weekend. Two of my greatest passions are Blackmores and competitive sailing, so it is little wonder that the numerous metaphors that align business performance to yachting resonate strongly with me. Sailing and business are both impacted by who is ‘at the helm’, the tactics employed, adaptation to changing external conditions, the effectiveness of the team, the ability to read the conditions – the analogies are endless. A couple of years ago, I invited Victor Kovalenko to speak to a team of business leaders within Blackmores and he did not disappoint with his wise words. The Australian Sailing Team Head Coach, Victor is known as ‘The Medal Maker’, a title the humble Ukrainian-born coach is embarrassed by. He has a unique gift for getting the best out of people. He brings high levels of discipline to the teams he coaches. He is never complacent about the success of his teams after a win and sets new challenges and reshapes his approach to achieve greatness. He is currently working with Mat Belcher, Rolex World Sailor of the Year who won gold in the London Olympics, and Will Ryan, an up-and-coming talent. Mat and Will are the current world champions in the 470 yacht class. 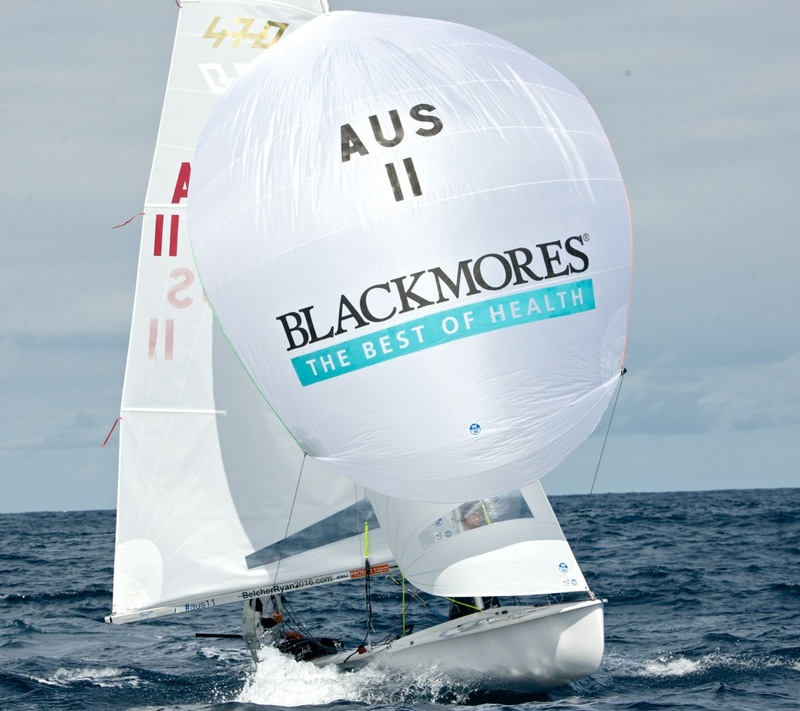 I’m proud to be part of the supporting team and love seeing a wind-filled spinnaker sporting the Blackmores brand. As a sailor and as a great Australian, Victor Kovalenko is someone I’ve learned from. He places as much value on character and friendship as skill and discipline. He knows that in sailing, as in life (and business), there is skill and technique but it is feeling and passion that will take you over the line first. I have never subscribed to the conspiracy theory when it comes to complementary and alternative medicine practice however the latest proposal from the TGA may yet be another nail in the coffin. The TGA has put forward a proposal to treat Naturopaths, Herbalists and Homeopaths as “general public” with the aim to regulate information produced for these healthcare professionals in order to “manage public health risks” (Remember Naturopathy and allied practices were once banned in the US and previous attempts to ban naturopaths in Australia was thwarted by my father Maurice Blackmore and his colleagues in Queensland in 1955). Are we returning to the dim, dark ages of the past you may well ask? Is there a link between the efforts of the so called ‘Friends of Science’ and the decision by Sydney’s Macquarie University to no longer teach Chiropractic, or for Southern Cross University to no longer teach a basic Naturopathic course, or the attempts by the Friends of Science to curtail NHMRC funding for complementary & alternative medicine? (or ‘pseudo-science’ as they call it!). If you wanted to orchestrate a campaign to eliminate a profession, you would first eliminate their university education, you would make sure there was no research for the profession and then simply make it illegal for them to access their ‘tools of trade’… Too provocative, maybe not? Maybe this is just a ‘proposal’ from the TGA but why contemplate such a draconian proposal for this profession when there is little or no data to show harm being done, quite the contrary. The reality is that one in three of all medical consultations in Australia today is with an alternative health professional. I don’t wish to be alarmist but I dearly hope that common sense will prevail. I was getting mightily tired of the disruption to my working day with Daph Price regularly asking me to leave my office and put a replacement roll of shrink film on our one and only shrink wrapper. I guess it was my own fault as I had previously made a decision to shrink wrap our bottles, only the second company in the whole of the Pharma/health food industry to do so. So I quickly decided Blackmores needed a ‘hands on’ Production Manager. One of our directors, Graeme Berman, arranged for me to meet Allen Oliver at North Sydney Leagues Club and the deal was done. Allen and Graeme had worked together at Scott and Bourne some years before. So began nearly 15 years of amazing commitment by Allen Oliver to Blackmores before his retirement in 1989. And what a contribution. I vividly remember meeting Lee McNichol in our foyer one day waiting to meet with Allen and lamenting how bad things were and how much wages had risen and that he had no alternative but to raise the prices on the products his company supplied us. I wished him luck! I met him again after his meeting with Allen only to be told that he had just reduced our prices by 2%. Allen’s catchword to suppliers is indelibly printed in my brain, “you will have to sharpen the pencil”. In Blackmores early days, we couldn’t afford security services so the factory was well alarmed. Allen and I lived close to work so when the alarms went off at some ungodly hour of the morning it was a race to see who got to the factory first to catch any intruders. It was one of those races you never wanted to win for fear of getting a whack over the head when you arrived, I’m pleased that Allen won most of those races. I was a member of Manly Rotary Club and asked Allen to join the club as my replacement. That cemented many years of outstanding community contribution by Allen and Betty Oliver. For some, charity means simply writing a cheque to a deserving cause but of even greater significance is giving one’s time and Allen did both of those in spades. The 32 years of Rotary Christmas hampers would not have happened without Allen’s enthusiasm for that project. Allen Oliver came up the tough way, he did the menial tasks, he swept the floors and his promotion in business life came as a result of nothing less than hard work. Australia would be a much better place if there were more Allen Oliver’s in life. Allen Oliver was a man of substance, a man of generous spirit, he gave much to Blackmores in our fledgling years, I will never forget him.